Effective residential interventions are a critical part of a comprehensive community system of care for children and adolescents with behavioral and/or emotional challenges, and their families. This webinar will highlight key program and policy elements that are associated with quality and effectiveness of residential interventions. Participants will increase their understanding of these critical elements and how they have been put into practice across the country. 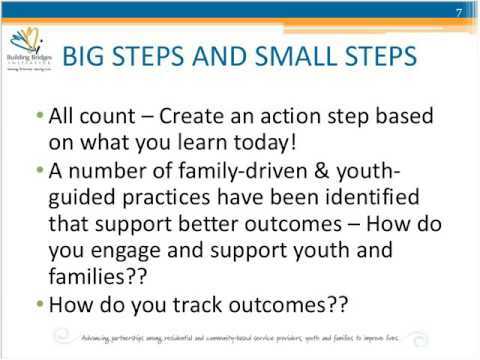 Participants will also learn specific strategies used by one residential program that resulted in significantly increased positive outcomes for youth and their families post residential discharge.